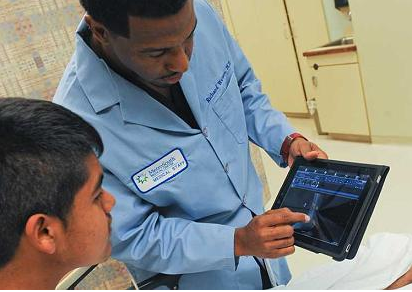 iPads are becoming just as important to doctors as their stethoscope. Professionals across the healthcare industry, doctors in particular, are enthusiastically adopting iPads. Physicians are seeing this device do a whole group of functions from looking up prescriptions or accessing electronic medical records. iPads are extremely useful on hospital wireless networks for a variety of reasons, but today I would like to highlight some of the ways iPads can be used to improve patient experience. 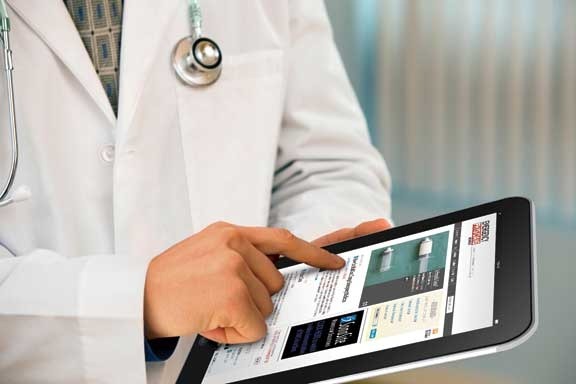 Here are 6 ways to use iPads on your hospital wireless network to improve patient care. 1) While patients are waiting for the doctor, let them to use the iPad to learn about health.You could even use it to make announcements, make wellness reminders, and post the latest medical news. When patients walk into the room they are probably a lot more likely to walk over to the iPad that says “use me to learn how to improve your health” rather than rummaging through an old stack of magazines. 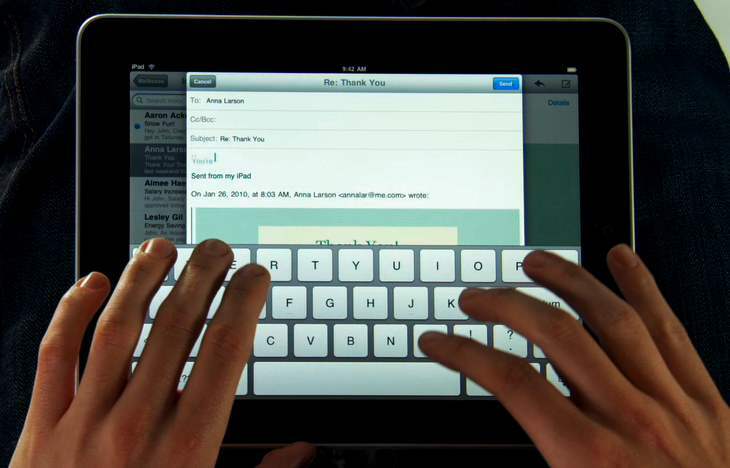 2) Allow patients to retrieve their personal health record with an iPad that’s connected to the Internet via Wi-Fi or just let patients check their e-mail and browse the web while they’re waiting. Patients won’t even notice if the wait is longer than expected because they are enjoying browsing the internet on the iPad. You can also allow patients to use the iPad calendar to schedule their next appointment. Mount the iPad on the wall and use it for some of the things described above. This way, it won’t fall or “walk away” then it could also double as a digital photo frame. 3) Using the iPad to educate patients makes understanding diseases and illnesses a lot clearer for many patients. Take advantage of the plethora of multimedia resources out there to more easily explain things to your patients. Multimedia like patient videos, animations, diagrams, charts, etc. makes describing to patients about specific diseases and conditions a lot easier and clearer for the patients. 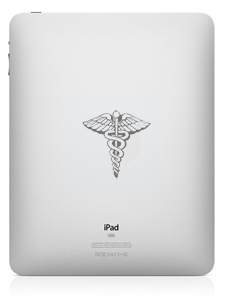 4) You could use the iPads as a physical exam tool to conduct mini mental exams and other diagnostic evaluations. For example if you are performing a psychometric evaluation just hand the patient a clip board. It’s faster and you can even use tools on the iPad to measure and store results. 5) Help patients relax by playing some soothing music in the exam room. No one likes to go to the hospital or doctor’s office, actually many people get very nervous and frightened just at the thought of going. Music has been proven to do wonders for people so why not use your iPad to play some relaxing tunes for the nervous patients or some music that will cheer up the depressed ones? 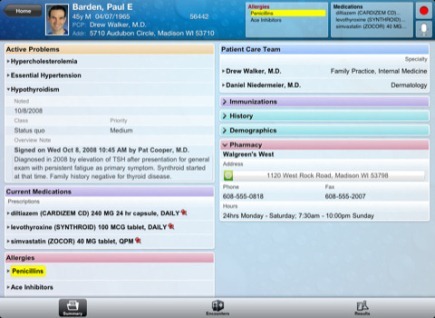 As the iPad becomes increasingly popular and more apps are being centered on healthcare we can expect to see many physician offices and hospitals leveraging the iPad in creative and educational ways to improve patient care and also enhance the clinical workflow. Soon, every healthcare facility will use them. When integrating this device into your hospital wireless network security and privacy are key. Here at SecurEdge we are experts in healthcare wireless networks so we understand the importance of new mobile devices can create new challenges for IT departments ranging from new sets of securities, configurations and management. We can provide your hospital wireless network with the security and management it needs to authenticate and track users on the wireless network.